SIG Sauer SIG716G2 6.5 Creedmoor DMR Rifle with 18 inch barrel Holds true to the original SUB-MOA accuracy of the first Gen DMR. 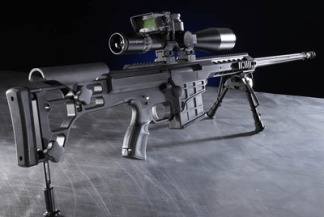 The SIG Sauer SIG716G2 6.5 Creedmoor DMR Rifle comes equipped with an improved gas system and a lightweight hand-guard, Which gives this DMR Rifle a total weight reduction of more than 1 1/2 lbs. The Sig SIG716G2 6.5 Creedmoor DMR Marksman 18 inch Precision Rifle in FDE, is a limited run of only 300 being made total in this configuration. Sig is planning a regular production run of this rifle with out all the upgrades and a higher price point. The SIG Sauer SIG716G2 6.5 Creedmoor DMR Rifle comes standard with a crisp two-stage match trigger and muzzle brake help tighten groups to less than a single minute-of-angle. This type of accuracy was once thought impossible from a gas piston rifle. Sig Sauer SIG716 G2 6.5 Creedmoor Rifle has a 4-position adjustable gas piston system that keeps carbon, excessive heat and fouling out of the chamber. Which enhances reliability and accuracy of this firearms under extreme conditions. The all new Sig 716 G2 6.5 Creedmoor Rifle is a great compact lightweight and accurate AR-10 platform that works great with any model suppressor. Feel free to Call Xtreme Guns and Ammo on all your SIG SAUER Rifle needs at 832-363-3783 or chat with us online during regular Chat hours. 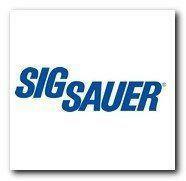 Buy the all new Sig Sauer SIG716G2 6.5 Creedmoor DMR Rifle Online at the Best Price at XGA in Texas.